A good art dealer can really clean up in today’s market, but not when some weird chemistry wreaks havoc on masterpieces [emphasis mine]. Art conservators started to notice microscopic pockmarks forming on the surfaces of treasured oil paintings that cause the images to look hazy. It turns out the marks are eruptions of paint caused, weirdly, by soap that forms via chemical reactions. Since you have no time to watch paint dry, we explain how paintings from Rembrandts to O’Keefes are threatened by their own compositions — and we don’t mean the imagery. Paintings by Vincent van Gogh, Pablo Picasso and Johannes Vermeer have been delighting art lovers for years. But it turns out that these works of art might be their own worst enemy — the canvases they were painted on can deteriorate over time. In an effort to combat this aging process, one group is reporting in ACS Applied Nano Materials (“Combined Nanocellulose/Nanosilica Approach for Multiscale Consolidation of Painting Canvases”) that nanomaterials can provide multiple layers of reinforcement. One of the most important parts of a painting is the canvas, which is usually made from cellulose-based fibers. Over time, the canvas ages, resulting in discoloration, wrinkles, tears and moisture retention, all greatly affecting the artwork. To combat aging, painting conservators currently place a layer of adhesive and a lining on the back of a painting, but this treatment is invasive and difficult to reverse. In previous work, Romain Bordes and colleagues from Chalmers University of Technology, Sweden, investigated nanocellulose as a new way to strengthen painting canvases on their surfaces. In addition, together with Krzysztof Kolman, they showed that silica nanoparticles can strengthen individual paper and cotton fibers. So, they next wanted to combine these two methods to see if they could further strengthen aging canvas. The team combined polyelectrolyte-treated silica nanoparticles (SNP) with cellulose nanofibrils (CNF) for a one-step treatment. The researchers first treated canvases with acid and oxidizing conditions to simulate aging. When they applied the SNP-CNF treatment, the SNP penetrated and strengthened the individual fibers of the canvas, making it stiffer compared to untreated materials. The CNF strengthened the surface of the canvas and increased the canvas’s flexibility. The team notes that this treatment could be a good alternative to conventional methods. For more details about the problems with contemporary and modern art, there’s my April 4, 2016 posting when the NanoRestART project was first mentioned here and there’s my Jan. 10, 2017 posting which details research into 3D-printed art and some of the questions raised by the use of 3D printing and other emerging technologies in the field of contemporary art. This entry was posted in nanotechnology, Visual Art and tagged 3D-printed art, ACS, aging process, American Chemical Society, Art masterpieces are turning into soap, canvas, canvasses, cellulose nanofibrils (CNF), cellulose-based fibers, Chalmers University of Technology, Combined Nanocellulose/Nanosilica Approach for Multiscale Consolidation of Painting Canvases, EU, European Union, Georgia O'Keefe, Johannes Vermeer, Krister Holmberg, Krzysztof Kolman, Michael Persson, NanoRestART project, Oleksandr Nechyporchuk, Pablo Picasso, polyelectrolyte-treated silica nanoparticles (SNP), Rembrandt, Romain Bordes, silica nanoparticles, SNP-CNF treatment, Sweden, Vincent van Gogh on November 6, 2018 by Maryse de la Giroday. Health, safety, and risks have been an important discussion where nanotechnology is concerned. The sense of urgency and concern has died down somewhat but scientists and regulators continue with their risk analysis. Over 100 scientists from 25 research institutions and industries in 12 different European Countries, coordinated by the group of professor Antonio Marcomini from Ca’ Foscari University of Venice, have completed one of the first attempts to understand the risks nanomaterials carry throughout their life-cycle, starting from their fabrication and ending in being discarded or recycled. From nanoscale silver to titanium dioxide for air purification, the use of nanomaterials of high commercial relevance proves to have clear benefits as it attracts investments, and raises concerns. ‘Nano’ sized materials (a nanometre is one millionth of a millimetre) could pose environmental and health risks under certain conditions. The uncertainties and insufficient scientific knowledge could slow down innovation and economic growth. How do we evaluate these risks and take the appropriate preventative measures? The answer comes from the results of the Sustainable Nanotechnologies Project (SUN), which has been given 13 million euros of funding from the European Commission. After 3 years of research in laboratories and in contact with industrial partners, the scientists have processed, tested and made available an online platform (https://sunds.gd/) that supports industries and control and regulating institutions in evaluating potential risks that may arise for the production teams, for the consumers and for the environment. The goal is to understand the extent to which these risks are sustainable, especially in relation to the traditional materials available, and to take the appropriate preventative measures. Additionally, this tool allows us to compare risk reduction costs with the benefits generated by this innovative product, while measuring its possible environmental impact. Danail Hristozov, the project’s principal investigator from the Department of Environmental Sciences, Informatics and Statistics at Ca’ Foscari, commented: “The great amount of work done for developing and testing the methods and tools for evaluating and managing the risks posed by nanomaterials has not only generated an enormous amount of new scientific data and knowledge on the potential dangers of different types of nanomaterials, but has also resulted in key discoveries on the interactions between nanomaterials and biological or ecological systems and on their diffusion, on how they work and on their possible adverse consequences. These results, disseminated in over 140 research papers, have been immediately taken up by industries and regulators and will inevitably have great impact on developing safer and more sustainable nanotechnologies and on regulating their risks”.”. The SUN project has also composed a guide for the safest products and processes, published on its website: www.sun.fp7.eu. Scientists have focused their research on specific materials and their us, in order to analyse the entire life cycle of the products. Two of the best-known were chosen: nanoscale silver that is used in textiles, and multi-walled carbon nanotubes that is used in marine coatings and automotive parts. Less known materials that are of great relevance for their use were also included: car pigments and silica anticaking agents used by food industry. Lastly, SUN included nanomaterials of high commercial value which are extremely innovative: Nitrogen doped Titanium Dioxide for air purification is a new product enabled by SUN and exploited by the large colour ceramics company Colorobbia. The copper based coating and impregnation for wood protection has been re-oriented based on SUN safety assessment, and the Tungsten Carbide based coatings for paper mills is marketed based on SUN results. You can find out more about the SUN project here and about ‘SUNDS; Decision support system for risk management of engineered nanomaterials and nano-enabled products’ here. The Belgian federal government unnecessarily delayed the adoption of the Amending Royal Decree until December 2017 and published it only mid-January 2018. It creates legal uncertainty where it should have been avoided. The Belgian nanomaterials register (…) symbolizes a Belgian exceptionalism in the small world of national nanomaterials registers. Unlike France, Denmark and Sweden, Belgium decided from the very beginning to have three different deadlines for substances, mixtures and articles. In an already fragmented regulatory landscape (with 4 EU Member States having their own national nanomaterials register and 24 EU Member States which do not have such registration requirements), the confusion around the deadline for the registration of mixtures in Belgium does not allow the addressees of the legal obligations to comply with them. Even though failure to properly register substances – and now mixtures – within the Belgian nanomaterials register exposes the addressees of the obligation to criminal penalties, the function of the register remains purely informational. The data collected through the registration was meant to be used to identify the presence of manufactured nanomaterials on the Belgian market, with the implicit objective of regulating the exposure of workers and consumers to these nanomaterials. The absence of entry into force of the provisions relating to the registration of articles is therefore incoherent and should question the relevance of the whole Belgian registration system. Taking into account the author’s snarkiness, Belgium seems to have adopted (knowingly or unknowingly) a chaotic approach to registering nanomaterials. For anyone interesting in the Belgian’ nanoregister’, there’s this September 3, 2014 posting featuring another Anthony Bochon article on the topic and for anyone interested in Bochon’s book, there’s this August 15, 2014 posting (Note: his book, ‘Nanotechnology Law & Guidelines: A Practical Guide for the Nanotechnology Industries in Europe’, seems to have been updated [there is a copyright date of 2019 in the bibliographic information on the publisher’s website]). This entry was posted in nanotechnology, regulation, risk and tagged 7th Framework Programme, Alice’s Adventures in Wonderland, Anthony Bochon, Antonio Marcomini, Belgian nanomaterials register, Belgium, Ca’ Foscari University of Venice, Danail Hristozov, EC, EU, European Commission, European Union, FP7, Framework Programme 7, Italy, nanomaterials, Nanotechnology Law & Guidelines: A Practical Guide for the Nanotechnology Industries, SUN Project, SUNDS; Decision support system for risk management of engineered nanomaterials and nano-enabled products, Sustainable Nanotechnologies (SUN), White Rabbit on June 7, 2018 by Maryse de la Giroday. This is not the first time I’ve posted about nanotechnology and neuroscience (see this April 2, 2013 piece about then new brain science initiative in the US and Michael Berger’s Nanowerk Spotlight article/review of an earlier paper covering the topic of nanotechnology and neuroscience). Interestingly, the European Union (EU) had announced its two $1B Euro research initiatives, the Human Brain Project and the Graphene Flagship (see my Jan. 28, 2013 posting about it), months prior to the US brain research push. For those unfamiliar with the nanotechnology effort, graphene is a nanomaterial and there is high interest in its potential use in biomedical technology, thus partially connecting both EU projects. Over the past several years, nanoscale analysis tools and in the design and synthesis of nanomaterials have generated optical, electrical, and chemical methods that can readily be adapted for use in neuroscience and brain activity mapping. 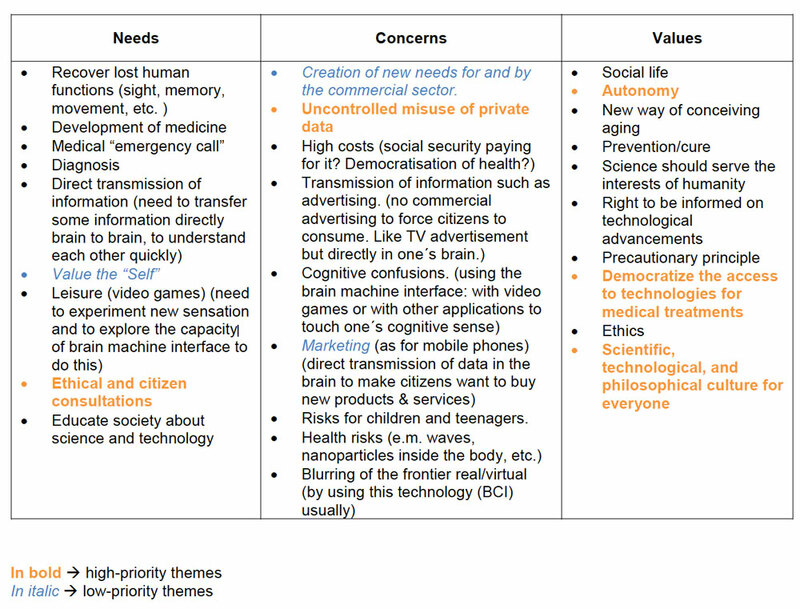 A review paper in Advanced Functional Materials (“Nanotechnology for Neuroscience: Promising Approaches for Diagnostics, Therapeutics and Brain Activity Mapping”) summarizes the basic concepts associated with neuroscience and the current journey of nanotechnology towards the study of neuron function by addressing various concerns on the significant role of nanomaterials in neuroscience and by describing the future applications of this emerging technology. The collaboration between nanotechnology and neuroscience, though still at the early stages, utilizes broad concepts, such as drug delivery, cell protection, cell regeneration and differentiation, imaging and surgery, to give birth to novel clinical methods in neuroscience. Ultimately, the clinical translation of nanoneuroscience implicates that central nervous system (CNS) diseases, including neurodevelopmental, neurodegenerative and psychiatric diseases, have the potential to be cured, while the industrial translation of nanoneuroscience indicates the need for advancement of brain-computer interface technologies. The Brain Activity Map (BAM) Project aims to map the neural activity of every neuron across all neural circuits with the ultimate aim of curing diseases associated with the nervous system. The announcement of this collaborative, public-private research initiative in 2013 by President Obama has driven the surge in developing methods to elucidate neural circuitry. Three current developing arenas in the context of nanoneuroscience applications that will push such initiative forward are 1) optogenetics, 2) molecular/ion sensing and monitoring and 3) piezoelectric effects. In their review, the authors discuss these aspects in detail. By engineering particles on the scale of molecular-level entities – proteins, lipid bilayers and nucleic acids – we can stereotactically interface with many of the components of cell systems, and at the cutting edge of this technology, we can begin to devise ways in which we can manipulate these components to our own ends. However, interfering with the internal environment of cells, especially neurons, is by no means simple. I have a March 26, 2015 posting about Canadian researchers breaching the blood-brain barrier and an April 13, 2016 posting about US researchers at Cornell University also breaching the blood-brain barrier. Perhaps the “inability” mentioned in this Spotlight article means that it can’t be done consistently or that it hasn’t been achieved on humans. I took a look at the authors’ information and found that most of these researchers are based in China and in the UK, with a sole researcher based in the US. This entry was posted in medicine, nanotechnology and tagged Aaron Tan, Anil Kumar, BCI, Brain Activity Map (BAM) Project, brain-computer interfaces, Brianna Diane Blevins, central nervous system (CNS) diseases, China, EU, European Union, Graphene Flagship, Hong Liu, Human Brain Project, James Lam, Jin Xie, Joanna Wong, Jonathan Clayton Spagnoli, Keyoumars Ashkan, Lewis Thorne, Michael Berger, nanoneuroscience, Nanotechnology for Neuroscience: Promising Approaches for Diagnostics Therapeutics and Brain Activity Mapping, nanotoxicology, Natasha G, neurodegenerative, neurodevelopmental, neuron function, neuroscience, neurotoxicity, psychiatric diseases, UK, US, US BRAIN (Brain Research through Advancing Innovative Neurotechnologies) initiative on December 27, 2017 by Maryse de la Giroday. JELLYFISH – FRIEND, FOE, OR FOOD? research as part of the Coastal Ocean Awards at the Vancouver Aquarium. You can find out more about Lucas Brotz here and about Sea Around Us here. Jellyfish could be a resource in producing microplastic filters, fertilizer or fish feed. A new 6 million euro project called GoJelly, funded by the EU and coordinated by the GEOMAR Helmholtz Centre for Ocean Research, Germany and including partners at the Norwegian University of Science and Technology (NTNNU) and SINTEF [headquartered in Trondheim, Norway, is the largest independent research organisation in Scandinavia; more about SINTEF in its Wikipedia entry], hopes to turn jellyfish from a nuisance into a useful product. Global climate change and the human impact on marine ecosystems has led to dramatic decreases in the number of fish in the ocean. It has also had an unforseen side effect: because overfishing decreases the numbers of jellyfish competitors, their blooms are on the rise. The GoJelly project, coordinated by the GEOMAR Helmholtz Centre for Ocean Research, Germany, would like to transform problematic jellyfish into a resource that can be used to produce microplastic filter, fertilizer or fish feed. The EU has just approved funding of EUR 6 million over 4 years to support the project through its Horizon 2020 programme. Rising water temperatures, ocean acidification and overfishing seem to favour jellyfish blooms. More and more often, they appear in huge numbers that have already destroyed entire fish farms on European coasts and blocked cooling systems of power stations near the coast. A number of jellyfish species are poisonous, while some tropical species are even among the most toxic animals on earth. “In Europe alone, the imported American comb jelly has a biomass of one billion tons. While we tend to ignore the jellyfish there must be other solutions,” says Jamileh Javidpour of GEOMAR, initiator and coordinator of the GoJelly project, which is a consortium of 15 scientific institutions from eight countries led by the GEOMAR Helmholtz Centre for Ocean Research in Kiel. The project will first entail exploring the life cycle of a number of jellyfish species. A lack of knowledge about life cycles makes it is almost impossible to predict when and why a large jellyfish bloom will occur. “This is what we want to change so that large jellyfish swarms can be caught before they reach the coasts,” says Javidpour. At the same time, the project partners will also try to answer the question of what to do with jellyfish once they have been caught. One idea is to use the jellyfish to battle another, man-made threat. “Studies have shown that mucus of jellyfish can bind microplastic. Therefore, we want to test whether biofilters can be produced from jellyfish. These biofilters could then be used in sewage treatment plants or in factories where microplastic is produced,” the GoJelly researchers say. Jellyfish can also be used as fertilizers for agriculture or as aquaculture feed. “Fish in fish farms are currently fed with captured wild fish, which does not reduce the problem of overfishing, but increases it. Jellyfish as feed would be much more sustainable and would protect natural fish stocks,” says the GoJelly team. Another option is using jellyfish as food for humans. “In some cultures, jellyfish are already on the menu. As long as the end product is no longer slimy, it could also gain greater general acceptance,” said Javidpour. Finally yet importantly, jellyfish contain collagen, a substance very much sought after in the cosmetics industry. Project partners from the Norwegian University of Science and Technology, led by Nicole Aberle-Malzahn, and SINTEF Ocean, led by Rachel Tiller, will analyse how abiotic (hydrography, temperature), biotic (abundance, biomass, ecology, reproduction) and biochemical parameters (stoichiometry, food quality) affect the initiation of jellyfish blooms. Based on a comprehensive analysis of triggering mechanisms, origin of seed populations and ecological modelling, the researchers hope to be able to make more reliable predictions on jellyfish bloom formation of specific taxa in the GoJelly target areas. This knowledge will allow sustainable harvesting of jellyfish communities from various Northern and Southern European populations. This harvest will provide a marine biomass of unknown potential that will be explored by researchers at SINTEF Ocean, among others, to explore the possible ways to use the material. A team from SINTEF Ocean’s strategic program Clean Ocean will also work with European colleagues on developing a filter from the mucus of the jellyfish that will catch microplastics from household products (which have their source in fleece sweaters, breakdown of plastic products or from cosmetics, for example) and prevent these from entering the marine ecosystem. Finally, SINTEF Ocean will examine the socio-ecological system and games, where they will explore the potentials of an emerging international management regime for a global effort to mitigate the negative effects of microplastics in the oceans. “Jellyfish can be used for many purposes. We see this as an opportunity to use the potential of the huge biomass drifting right in front of our front door,” Javidpour said. You can find out more about GoJelly on their Twitter account. This entry was posted in beauty and cosmetics, environment, food, science and tagged American comb jelly, Café Scientifique Vancouver, Canada, David Suzuki, EU, European Union, food, GEOMAR, GEOMAR Helmholtz Centre for Ocean Research, Germany, GoJelly, Jamileh Javidpour, jellyfish, JELLYFISH – FRIEND FOE OR FOOD?, jellyfish blooms, jellyfish mucus, Lucas Brotz, marine ecosystems, Nicole Aberle-Malzahn, Norway, Norwegian University of Science and Technology (NTNU), Rachel Tiller, Scandinavia, Sea Around Us, SINTEF, SINTEF Ocean, UBC, University of British Columbia, Vancouver Aquarium on November 21, 2017 by Maryse de la Giroday. In April , Nano2All, a EU Horizon 2020 [a multi-year European science funding programme] project, organized a citizen dialogue on the role of nanotechnologies in the field of brain-machine interfaces. The dialogue scenario included a short introduction, the building of a ‘future object’ by pairs of participants, the production of two narratives associated to each object, and finally a reflection on values, needs, and concerns, that emerged from this work. The dialogue had 11 participants (6 women, 5 men): three young adults, 5 adults, and 3 seniors. The role of youngsters in the exercise of building an object was essential. In fact, their imagination and their futuristic visions allowed adults and senior to let themselves free to create and imagine in the first, creative part of the workshop. You can find all of the preliminary results from the ‘Paris’ dialogue here (PDF). You can find the Nano2All website here. For anyone interested in the project’s reports and findings, see the Resources webpage. One final comment, I wonder if there’ll ever be any similar citizen engagement events here in Canada. 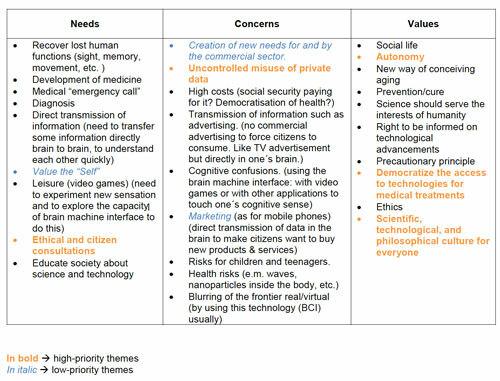 This entry was posted in health and safety, marketing, medicine, nanotechnology, public engagement and tagged brain-machine interfaces, EU, European Union, Horizon 2020 project, machine/flesh, Nano2All on June 27, 2017 by Maryse de la Giroday. Researchers in AMBER, the Science Foundation Ireland-funded materials science research centre hosted in Trinity College Dublin, have fabricated printed transistors consisting entirely of 2-dimensional nanomaterials for the first time. These 2D materials combine exciting electronic properties with the potential for low-cost production. This entry was posted in electronics, graphene, nanotechnology and tagged 2-dimensional nanomaterials, 2D transistors, Adam G. Kelly, Aditya Kulkarni, All-printed thin-film transistors from networks of liquid-exfoliated nanosheets, AMBER Centre, Amir Sajad Esmaeily, Andrew Harvey, boron nitride, carbon-based molecules, Claudia Backes, EU, European Union, Georg Duesberg, Georg S. Duesberg, Graphene Flagship, graphene nanosheets, Ian Godwin, Jannika Lauth, João Coelho, Jonathan Coleman, Jonathan N. Coleman, Laurens D. A. Siebbeles, Laurens Siebbeles, Netherlands, printable electronics, printed transistors, Sachin Kinge, Science Foundation Ireland, Technical University Delft, Toby Hallam, Trinity College Dublin, tungsten diselenide, Valeria Nicolosi on May 22, 2017 by Maryse de la Giroday. The Prime Minister, Justin Trudeau, today [May 11, 2017] announced that he will participate in the Microsoft CEO Summit in Seattle, Washington, on May 17 and 18 , to promote the Cascadia Innovation Corridor, encourage investment in the Canadian technology sector, and draw global talent to Canada. This year’s summit, under the theme “The CEO Agenda: Navigating Change,” will bring together more than 150 chief executive officers. While at the Summit, Prime Minister Trudeau will showcase Budget 2017’s Innovation and Skills Plan and demonstrate how Canada is making it easier for Canadian entrepreneurs and innovators to turn their ideas into thriving businesses. Prime Minister Trudeau will also meet with Washington Governor Jay Inslee. Canada-U.S. bilateral trade in goods and services reached approximately $882 billion in 2016. Nearly 400,000 people and over $2 billion-worth of goods and services cross the Canada-U.S. border every day. Canada-Washington bilateral trade was $19.8 billion in 2016. Some 223,300 jobs in the State of Washington depend on trade and investment with Canada. Canada is among Washington’s top export destinations. Prime Minister Justin Trudeau continued his efforts to promote Canada’s technology sector to officials in Washington state on Thursday [May 18, 2017], meeting with Gov. Jay Inslee a day after attending the secretive Microsoft CEO Summit. Trudeau and Inslee discussed, among other issues, the development of the Cascadia Innovation Corridor, an initiative that aims to strengthen technology industry ties between British Columbia and Washington. The pair also spoke about trade and investment opportunities and innovation in the energy sector, said Trudeau’s office. In brief remarks before the meeting, the prime minister said Washington and Canada share a lot in common. But protesters clad in yellow hazardous material suits that read “Keystone XL Toxic Cleanup Crew” gathered outside the hotel to criticize Trudeau’s environmental record, arguing his support of pipelines is at odds with any global warming promises he has made. Prime Minister Justin Trudeau was in Metro Vancouver Thursday [may 18, 2017] to learn from local tech and business leaders how the federal government can boost B.C.’s tech sector. The roundtable discussion was organized by the Vancouver Economic Commission and hosted in Burnaby at Electronic Arts’ Capture Lab, where the video game company behind the popular FIFA, Madden and NHL franchises records human movement to add more realism to its digital characters. Representatives from Amazon, Launch Academy, Sony Pictures, Darkhorse 101 Pictures and Front Fundr were also there. While the roundtable was not open to media, Trudeau met beforehand with media. “We’re going to talk about how the government can be a better partner or better get out of your way in some cases to allow you to continue to grow, to succeed, to create great opportunities to allow innovation to advance success in Canada and to create good jobs for Canadians and draw in people from around the world and continue to lead the way in the world,” he said. I wonder at all the secrecy. As for the companies mentioned as being at the roundtable, you’ll notice a preponderance of US companies with Launch Academy and Front Fundr (which is not a tech company but a crowdfunding equity company) supplying Canadian content. As for Darkhorse 101 Pictures, I strongly suspect (after an online search) it is part of Darkhorse Comics (as US company) which has an entertainment division. Perhaps it didn’t seem worthwhile to mention the Canadian companies? In that case, that’s a sad reflection on how poorly we and our media support our tech sector. In fact, it seems Trudeau’s version of the Canadian technology sector is for us to continue in our role as a branch plant remaining forever in service of the US economy or at least the US tech sector which may be experiencing some concerns with the US Trump administration and what appears to be an increasingly isolationist perspective with regard to trade and immigration. It’s a perspective that the tech sector, especially the entertainment component, can ill afford. As for the Cascadia Innovation Corridor mentioned in the Prime Minister’s news release and in Kane’s article, I have more about that in a Feb. 28, 2017 posting about the Cascadia Data Analytics Cooperative. I’m glad to see that Trudeau remains interested in Canadian science and technology but perhaps he could concentrate on new ways of promoting sectoral health rather than relying on the same old thing. This entry was posted in science, science policy, Technology, Vancouver and tagged Alan Boyle, Amazon, Berkshire Hathaway, Bill Gates, Blue Origin rocket venture, Canada, Cascadia Data Analytics Cooperative, Cascadia Innovation Corridor, clean tech, Darkhorse 101 Pictures, Electronic Arts, EU, European Union, Exxon Mobil, Front Fundr, Germany, Jay Inslee, Jeff Bezos, Justin Trudeau, Keystone XL Toxic Cleanup Crew, Launch Academy, Laura Kane, Microsoft, Microsoft CEO Summit, O Rex Tillerson, race to space, Seattle, Sony Pictures, Stephanie Ip, The CEO Agenda: Navigating Change, trust in technology, Vancouver Economic Commission, Warren Buffett, Washington (state) on May 19, 2017 by Maryse de la Giroday. I have two news bits (dated almost one month apart) about the use of graphene in neural probes, one from the European Union and the other from Korea. This work is being announced by the European Commission’s (a subset of the EU) Graphene Flagship (one of two mega-funding projects announced in 2013; 1B Euros each over ten years for the Graphene Flagship and the Human Brain Project). Measuring brain activity with precision is essential to developing further understanding of diseases such as epilepsy and disorders that affect brain function and motor control. Neural probes with high spatial resolution are needed for both recording and stimulating specific functional areas of the brain. Now, researchers from the Graphene Flagship have developed a new device for recording brain activity in high resolution while maintaining excellent signal to noise ratio (SNR). Based on graphene field-effect transistors, the flexible devices open up new possibilities for the development of functional implants and interfaces. The research, published in 2D Materials, was a collaborative effort involving Flagship partners Technical University of Munich (TU Munich; Germany), Institut d’Investigacions Biomèdiques August Pi i Sunyer (IDIBAPS; Spain), Spanish National Research Council (CSIC; Spain), The Biomedical Research Networking Center in Bioengineering, Biomaterials and Nanomedicine (CIBER-BBN; Spain) and the Catalan Institute of Nanoscience and Nanotechnology (ICN2; Spain). The devices were used to record the large signals generated by pre-epileptic activity in rats, as well as the smaller levels of brain activity during sleep and in response to visual light stimulation. These types of activities lead to much smaller electrical signals, and are at the level of typical brain activity. Neural activity is detected through the highly localised electric fields generated when neurons fire, so densely packed, ultra-small measuring devices is important for accurate brain readings. The neural probes are placed directly on the surface of the brain, so safety is of paramount importance for the development of graphene-based neural implant devices. Importantly, the researchers determined that the graphene-based probes are non-toxic, and did not induce any significant inflammation. Devices implanted in the brain as neural prosthesis for therapeutic brain stimulation technologies and interfaces for sensory and motor devices, such as artificial limbs, are an important goal for improving quality of life for patients. This work represents a first step towards the use of graphene in research as well as clinical neural devices, showing that graphene-based technologies can deliver the high resolution and high SNR needed for these applications. Electrodes placed in the brain record neural activity, and can help treat neural diseases like Parkinson’s and epilepsy. Interest is also growing in developing better brain-machine interfaces, in which electrodes can help control prosthetic limbs. Progress in these fields is hindered by limitations in electrodes, which are relatively stiff and can damage soft brain tissue. Designing smaller, gentler electrodes that still pick up brain signals is a challenge because brain signals are so weak. Typically, the smaller the electrode, the harder it is to detect a signal. However, a team from the Daegu Gyeongbuk Institute of Science & Technology [DGIST} in Korea developed new probes that are small, flexible and read brain signals clearly. The electrode starts with a thin gold base. Attached to the base are tiny zinc oxide nanowires, which are coated in a thin layer of gold, and then a layer of conducting polymer called PEDOT. These combined materials increase the probe’s effective surface area, conducting properties, and strength of the electrode, while still maintaining flexibility and compatibility with soft tissue. “Our graphene and nanowires-based flexible electrode array can be useful for monitoring and recording the functions of the nervous system, or to deliver electrical signals to the brain,” the researchers conclude in their paper recently published in the journal ACS Applied Materials and Interfaces. This entry was posted in electronics, graphene, medicine, nanotechnology and tagged and Conducting Polymer PEDOT, Anton Guimerà-Brunet, Axel Heimann, Benno Blaschke, Benno M Blaschke, Biomaterials and Nanomedicine (CIBER-BBN), Biomedical Research Networking Center in Bioengineering, brain activity, brain mapping, brain-machine interfaces, Catalan Institute of Nanoscience and Nanotechnology (ICN2), Cheil Moon, conducting polymer (PEDOT), Daegu Gyeongbuk Institute of Science & Technology (DGIST), EC, electrodes, Enhancement of Interface Characteristics of Neural Probe Based on Graphene, epilepsy, EU, European Commission, European Union, FET Graphene Flagship project, Germany, gold nanoparticles, gold substrate, graphene field-effect transistors, Graphene Flagship, graphene-based probes, Human Brain Project, Institut d'Investigacions Biomèdiques August Pi i Sunyer (IDIBAPS), Jae Eun Jang, Jae Hoon Yang, Ji-Woong Choi, Jose Antonio Garrido, Julia Weinert, Korea, Kyung Hwa Lee, Kyungsoo Kim, Lionel Rousseau, Mapping brain activity with flexible graphene micro-transistors, Maria V Sanchez-Vives, Mingyu Ryu, Minkyu Je, Minkyung Sim, neural activity, neural probes, neuroprosthetics, Núria Tort-Colet, Oliver Kempski, Parkinson's, Rosa Villa, Seung-Jun Yoo, Simon Drieschner, So Yeun Kim, Spain, Spanish National Research Council (CSIC), Taeju Lee, Technical University of Munich (TU Munich), Youngu Lee, Yumi Ahn, zinc oxide nanowires, ZnO Nanowires on April 19, 2017 by Maryse de la Giroday.